This entry was posted in Historic Writings and tagged 1992 NFC Championship Game, 1993 NFC Championship Game, 1994 NFC Championship Game, 1994 San Francisco 49ers, Bill Walsh, Charles Haley, Deion Sanders, George Seifert, Jerry Rice, Joe Montana, Ken Norton Jr, Mike Shanahan, San Francisco 49ers, Steve Young, William Floyd. Bookmark the permalink. 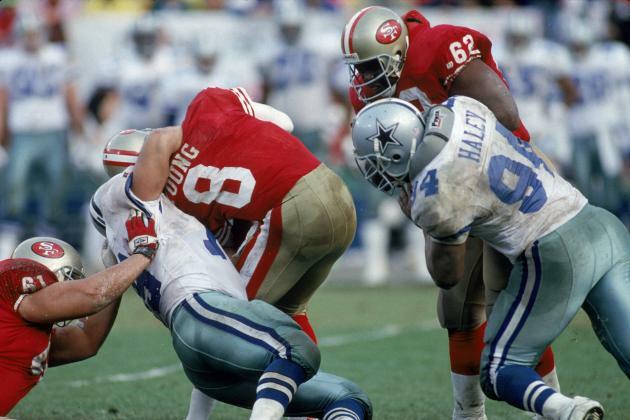 Good article as always Jef…but the elbow injury that sidelined Montana for 1991 and 1992 had nothing to do with the hit by Marshall in the 1990 NFC Championship game. Montana played in the 91 preseason game against the Bears. In the following week of practice, he felt his elbow “pop”. At first they thought it was tendonits, but he actually tore his tendon, and had surgery in October 1991. 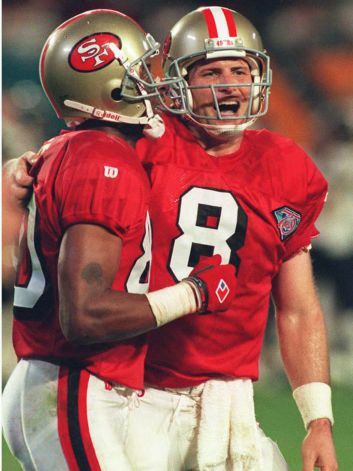 Montana could have played toward the end of 1992, but Steve Young was playing too good. 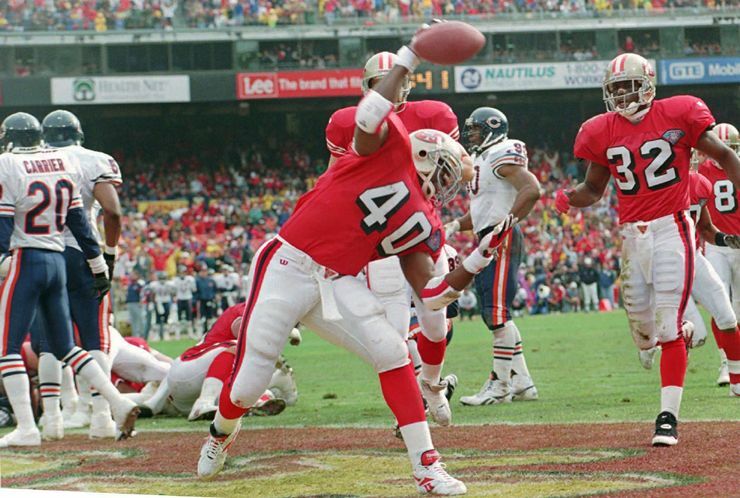 His last game as a 49er was when he played the second half of the Lions game. I remember his having 4 injuries off of that hit…elbow, bruised sternum, broken finger, and possible concussion. The shot heard ’round the world.